The Boy Scouts of America (BSA) has filed for bankruptcy after caving into pressure from far-left, politically correct groups. Founded in 1910, the Boy Scouts of America (BSA) is one of the largest Scouting organizations and youth organizations in the United States. Fellowshipoftheminds.com reports: Boys are trained in responsible citizenship, character development, and self-reliance through participation in a wide range of outdoor activities, educational programs, and, at older age levels, career-oriented programs in partnership with community organizations. More than 110 million Americans have been participants in BSA programs at some time. In recent years, BSA has been mired in controversy over the admission of LGBTs as scouts or adult leaders. 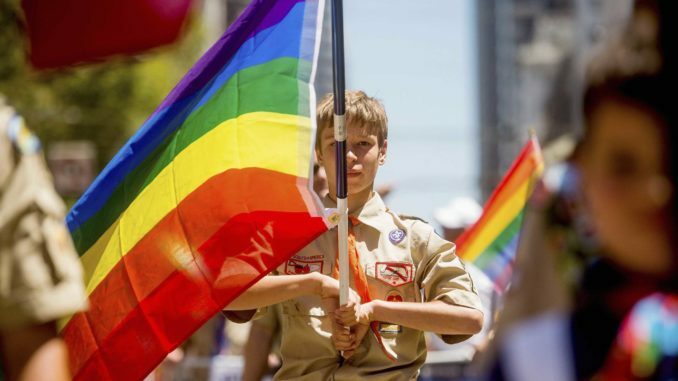 On January 1, 2014, after major businesses like Intel, UPS and Merch severed their financial ties with the BSA over its decision to retain its policy prohibiting LGBT scouts and adults, BSA changed its policy. Henceforth, LGBTs are allowed, but any sexual conduct, whether heterosexual or homosexual, is not allowed. That, in turn, alienated some churches and conservative members who left the BSA for a new Christian scouting group, Trail Life USA.